Whether it’s a pre-Christmas soiree for family and friends in the comfort of your own home, or a quick-fix cosy night in, Lidl’s Deluxe range this festive season is a platter for the occasion. From festive-flavoured crisps to cold cuts and cheeses, Lidl’s Deluxe range allows hosts to elevate their buffet offering while keeping time on their side. Kick off your event in style with some infused gin drinks made that little bit easier thanks to the Deluxe Gin Tonic Spices. These little packets of flavour-awe-some (£1.79) will refine any gin and tonic serve. When the usual classics aren’t cutting it, Lidl’s Deluxe snack selection will take your offering to the next level. Smoked and Caramelised Assorted Nuts (£2.99) alongside Deluxe Winter Vegetable Crisps in assorted flavours (99p) take nibbles up a notch. 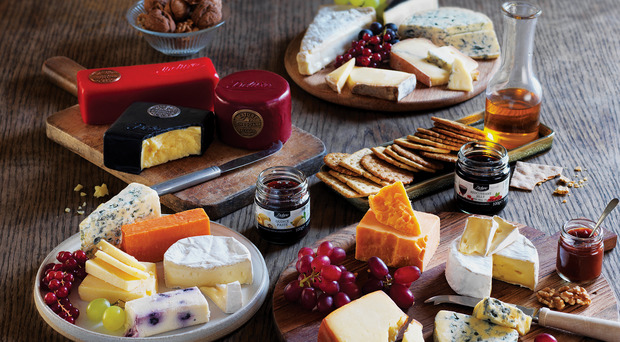 From Soft Blue Roquefort (£1.79) to Wensleydale with Cranberry ‘cheese truckles’ (99p) and the classic White Stilton (99p), there’s a cheese that will ensure your event is a cracker. Talking of which, Lidl’s Deluxe Flavoured Cracker Assortment (£1.99) are a feast for the eyes and the senses. Think oat and chive to beetroot and three seed or charcoal and sesame. And when cheese and crackers demand a touch of finesse Lidl’s Deluxe Savoury Conserves for Cheese will provide some taste explosions. Available in three varieities (from 99p) come in Gooseberry and Champagne, Redcurrant Jelly and Balsamic Preserve flavour. Lidl’s Deluxe Vegetable Parcels (£1.99) take oven treats to classy heights. With three varieties to chose from; Chesnut, Mushroom, Brie and Cranberry, Long Clawson, Stilton and Mushroom and Spinach, Vintage Cheddar and Garlic, these savoury treats will wow even the most palatable of guests. Serve with Deluxe Beer Battered Onion Rings (£1.99) and Lidl’s ASC Prawn Ring with Sweet Chilli Sauce (£3.99). To end a perfect event, the Deluxe Individual Dessert Selection (£2.99) is a chocolatey individually packed foursome of sweetness.